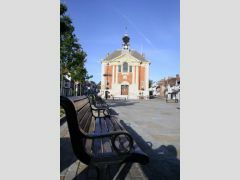 Benches lined up within the pedestrianised Market Place in front of the Town Hall. 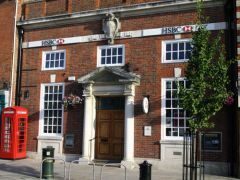 The HSBC Bank in Henley is located right in the town centre in the pedestrianised Market Place. 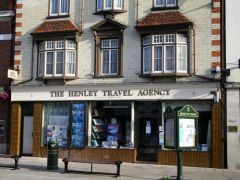 The Henley Travel Agency is located next to the HSBC bank in the centre of Henley. 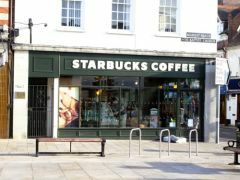 Starbucks Coffee is located right in the centre of Henley at the main crossroads. 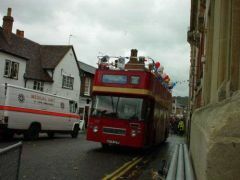 The open top bus used to take Steve Redgrave and team on a tour of Henley-on-Thames after their Sydney Olympics win. 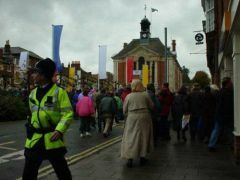 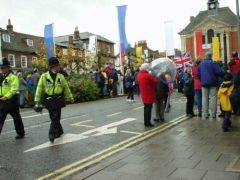 More crowds assembled in Market Place to celebrate the British rowing team's triumphant win at the Sydney Olympics. 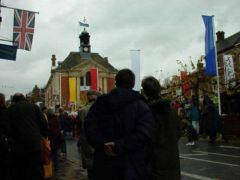 The crowds of people that assembled outside the Town Hall during the Sydney Olympics celebration for Steve Redgrave's rowing team. 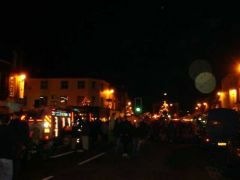 Market Place during the celebrations held to mark Steve Redgrave and his team winning gold for rowing at the Sydney Olympics. 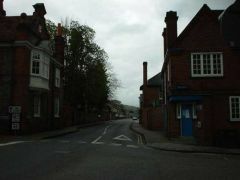 Taken from just behind the Town Hall this picture show the police station on the corner of Market Place and Kings Road. 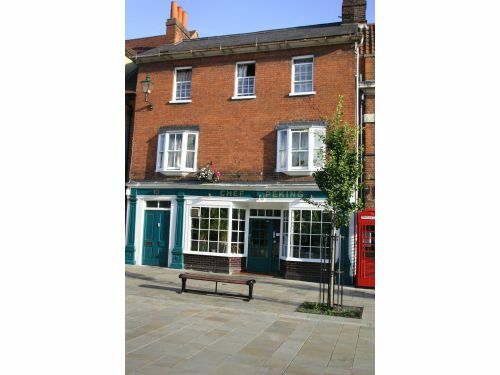 The Victoria public house is situated just behind the Town Hall opposite the police station next to West Street and Kings Road. 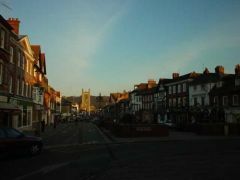 The Market Place is situated in the centre of Henley. 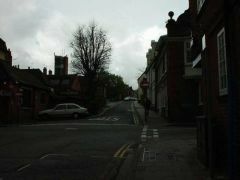 Up until the last few years traffic was allowed to travel through this area.